Why should I do orienteering with climb365? We are a family run business that specialises in high-quality professional service. We have been working and enjoying taking groups into the Lake District fells for over 20 years. We have experience running orienteering events for adults in the fells and school age groups in the local woods. 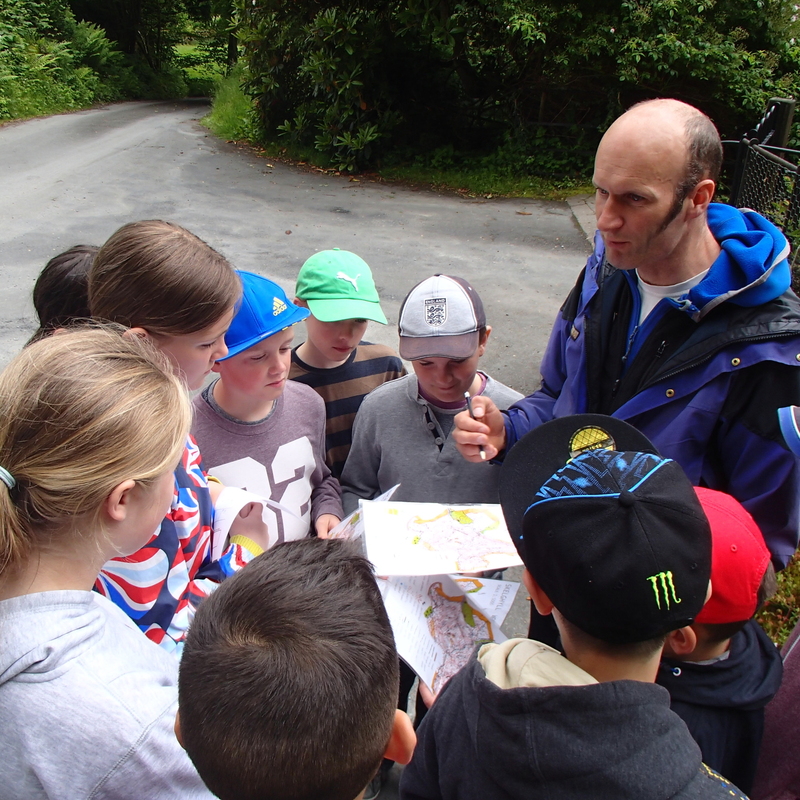 What is involved in orienteering? 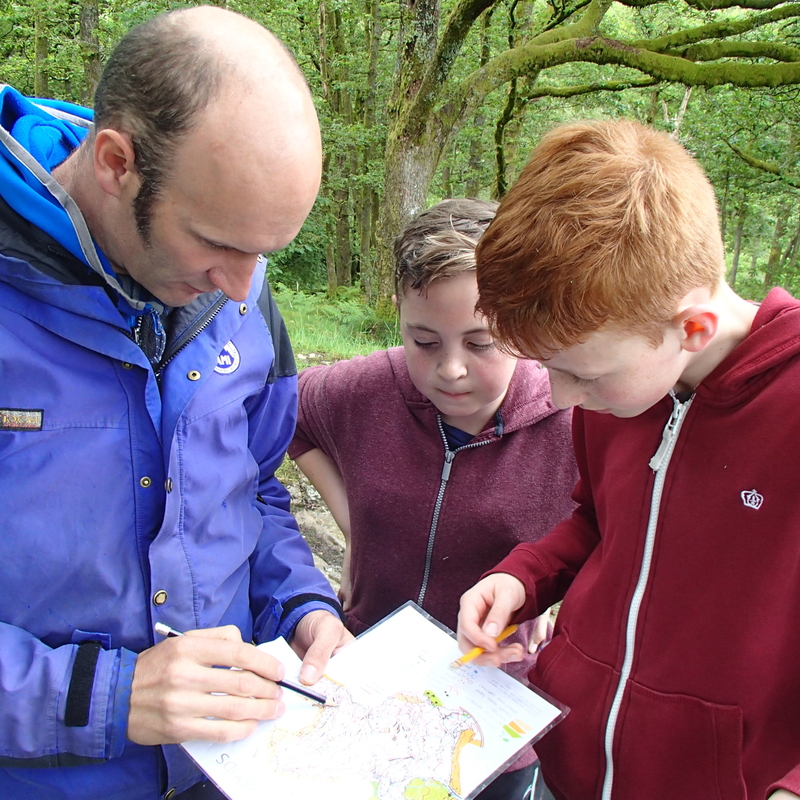 Orienteering is usually a half day activity and can be combined with one of our other adventure activities to give a full day. We will supply the map and take you around the first few controls while we teach you the skills needed to have a go. Then it’s over to you. We might plan a star course where you go out and come back to the same point or a longer linear course depending on your ability. Where are the orienteering venues? There are many different orienteering venues and it depends on who you are and how difficult you want it to be. We use Skelghyll woods near Ambleside as a smaller local wood, larger venues up on the fells and also set courses like Grizedale. No experience of orienteering is needed. Come ready to have fun an adventure and be challenged. If you already have some skills and want some fine tuning, we can work on this too. Appropriate clothes for the weather. Always worth putting in a warm jumper and a waterproof jacket. Plan for the worst and hope for the best. You can wear trainers or walking boots. Adult £40 per half day session. Child £30 per half day session (under 18 yrs). We provide activities sessions solely for you and your friends/family. You are NOT joined to any other group. We believe in delivering high-quality instruction just for you, and so we do not club individuals together solely to make extra money. We have found our clients prefer the benefit of the activity being just for them and the personal service this enables. We employ quality staff to run the session for you and so if you are a smaller group there is a slight increase in the cost. No additional cost for groups of 6 people or more. We find quite a few people combine activities together to make a great day of adventure. For Example. abseiling in the morning and gorge walking in the afternoon. If you book two half-day sessions on the same day you can redeem the “Full day” discount of £10 per person per day. Simply add “full day” into the checkout page to redeem the discount. We work on a max group size of 1 instructor to 8 clients. We will provide as many instructors as your group needs. If you are wanting to book an activity which starts within 48 hours of the booking date, please call us to discuss availability.